In 1997, two terriers named Penny and Katy started The Terrier Club, a web site devoted to Cairns and Westies. It soon became a favorite gathering place for many thousands of visitors worldwide, and today it's the largest breed-specific interactive site on the web. But there was one problem. With only enough room for Cairns and Westies, The Terrier Club couldn't admit any other terrier breeds. 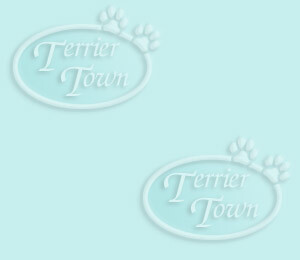 In May of 2003, the founder decided to expand and registered TerrierTown.com with plans to offer many of the same unique features and close-knit community of The Terrier Club, but open to all terrier breeds. TerrierTown is now accepting membership for Terriers world-wide. If you're a terrier fan, this is THE place to be. Check back often and watch us grow!